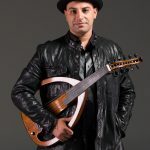 Hi, I am Ramy Adly and I play the Oud instrument, a middle eastern famous instrument, I play the Oud for more than 15 years and I will be happy to record for your song an Oud track. Please hear my sample of work and if you like it, contact me via message and I will get back to you immediately. - Oud solo "not the production but solo Oud only"
- If you are looking to build a full middle eastern song, I have many ideas, always here to help, please feel free to contact me anytime. - I do improvisations and I compose middle eastern musician lines, so please feel free to ask me any question anytime via my messages here and I will get back to you as soon as possible. - Audio files MP3, Wave and all other extension needed. I work with an unlimited revisions policy, which means I work until you are completely satisfied. 03/04 days for key demo and then daily revisions until complete. Total time to completion, One week. The Musician Marketplace is managing the work for us. You are the owner of all rights, titles and interest relating to any and all inventions musical ideas, sounds, compositions in this project. After the approval, the related deliverables will be turned with full ownership for free use of the assets on this or any other future project.